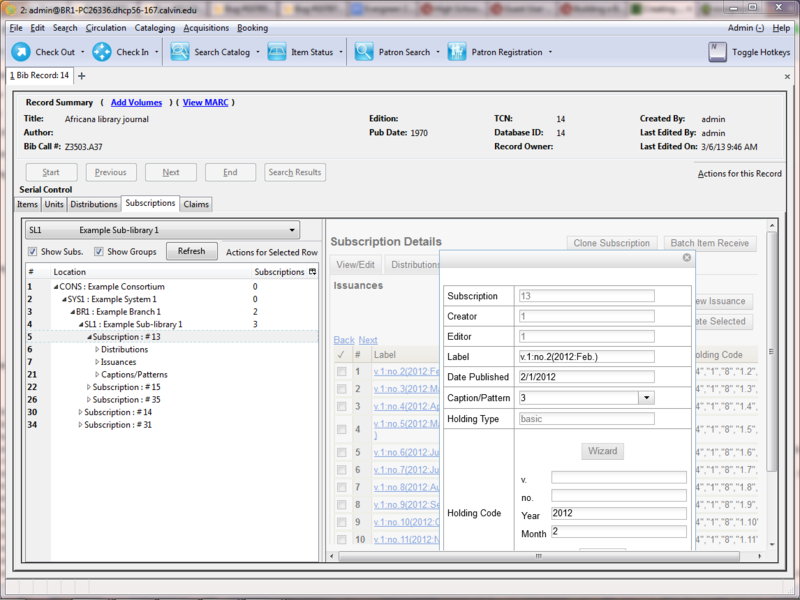 The Issuances function enables you to manually create an issue. Evergreen will use the initial issue that you manually create to predict future issues. In the panel on the right, click the Issuances tab. Enter the Date Published of the issuance. If you are creating one manual issue before automatically predicting more issues, then this date should be the date of the most current issue before the prediction starts. Click Issuances beneath the subscription from the tree on the left. 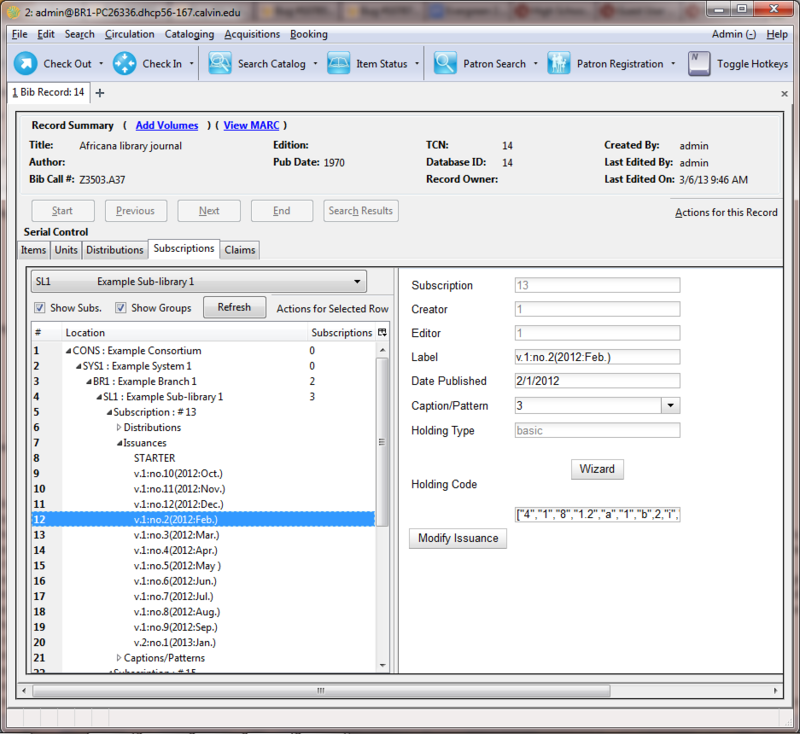 Right click to show the Actions menu, or click Actions for Selected Rows, and click Add Issuance. As of Evergreen 2.2, the Issuance editor is the same as mentioned above in the new combination view.